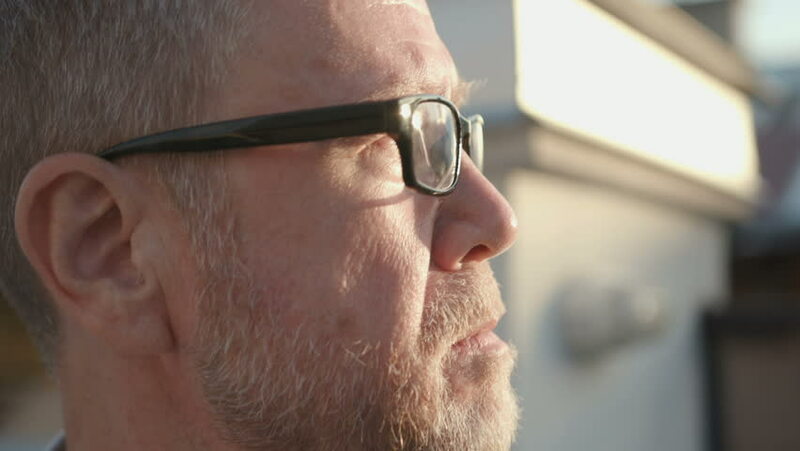 Sad and serious Caucasian man in spectacles looking at sky. Old Slavic man with beard spending time alone. Weekend. Outdoors. Roof. hd00:04Female feeding the cat. Cat eating from hand. hd00:09Woman getting hair dried, slow-mo. Brush and blow dryer.